Eskom: the road to recovery. Whether as corporates or as individuals, we have all suffered inconvenience and frustration through this most recent period of load shedding. The Minister of Public Enterprises called several meetings with stakeholders to effect a "call to action" to address what he described as a crisis facing the country as a whole. 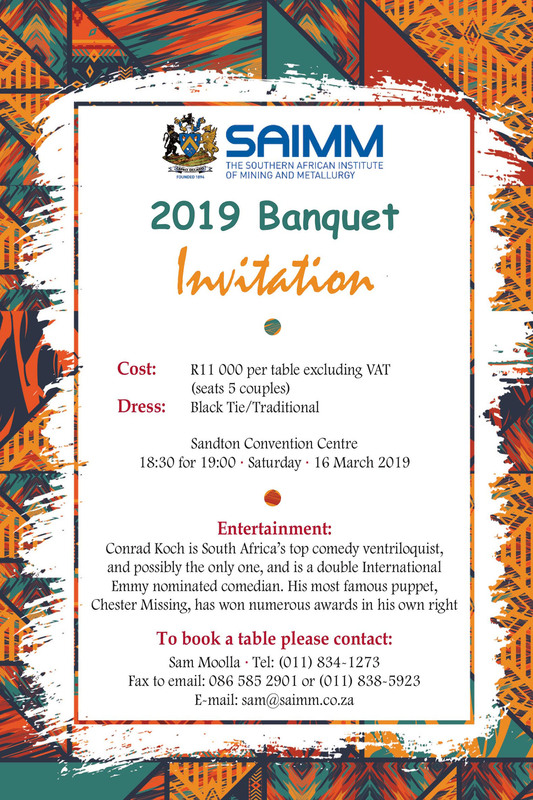 One such meeting was convened through the Engineering Council of South Africa, and included some 18 voluntary associations, related to engineering, of which the SAIMM was one. The President’s ten principles for the future of the mining industry. It was the first time that the Head of State, the President addresses the Mining Indaba in Cape Town recently. This emphasized the importance that he and his cabinet place on the future of the industry. President Ramaphosa emphasized the need for all stakeholders to come together, to create a common vision of the future, and to work together to achieve it. 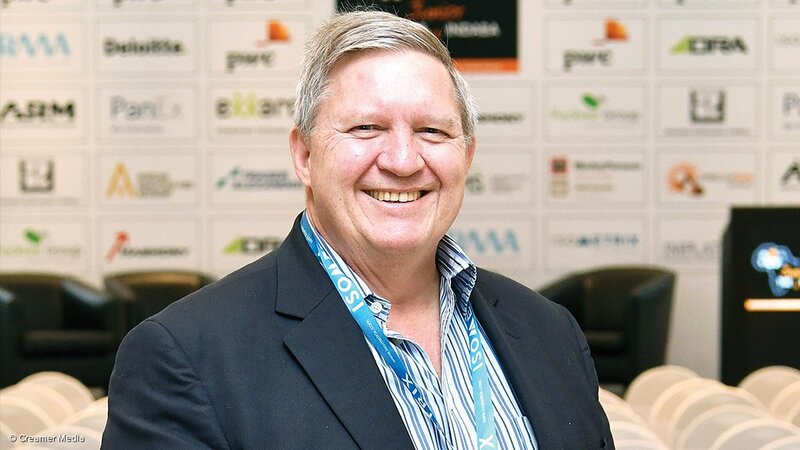 Alastair Macfarlane, SAIMM President 2018/2019, introduces the New Technology Conference and Trade Show to take place this year. Find out more about this exciting event that will focus on "Embracing the Fourth Industrial Revolution in the Minerals Industry". SAIMM members who achieve 50 years of membership are awarded a 9ct gold lapel badge at the Annual General Meeting. A few years ago an additional presentation process was instituted, where an Office Bearer or Past President would present the badge to members at their homes, if they were unable to attend the AGM. This year, Mr Patrick Willis, a Past President who lives in the UK, agreed to present the badge to Mr Alan Merson, a member who lives in Scotland. Mr Merson joined the SAIMM on 20 May 1968. 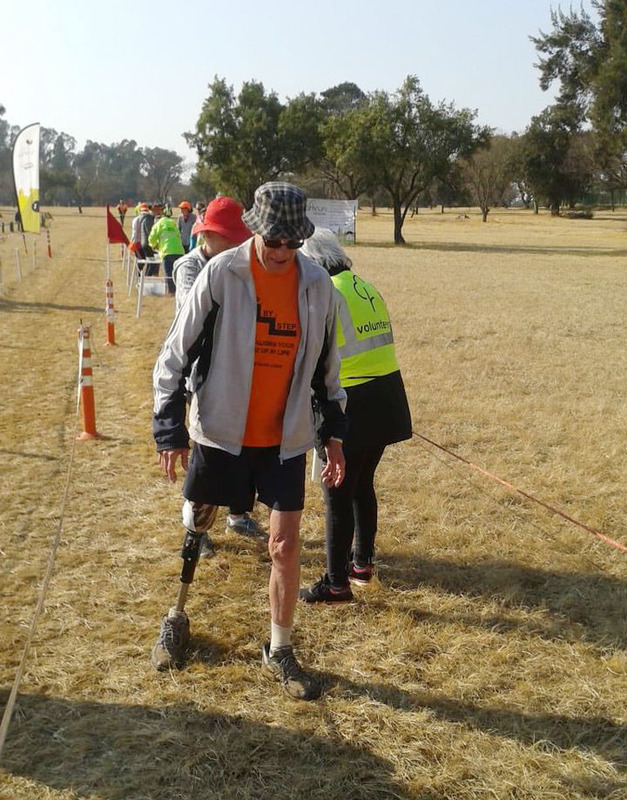 He transferred to the grade of Member on 18 February 1971 and then became a Fellow of the SAIMM on 14 April 1986. He was a Mine Manager at Bank Colliery and became a Retired Fellow on 17 January 1992. 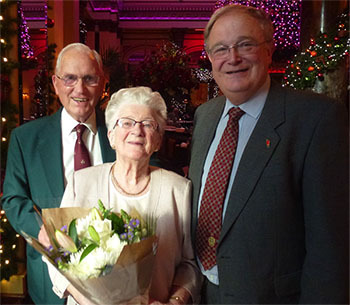 This photograph displays SAIMM President 2006/2007 Patrick (Pat) Willis presenting the badge to Mr and Mrs Merson, at a lunch arranged at the Dome Restaurant in Edinburgh. 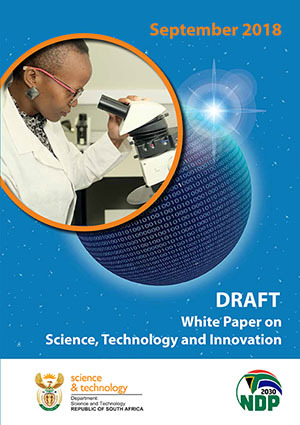 The Minister of Science and Technology, Minister M T Kubayi-Ngubane, has released a draft of the 2018 White Paper on Science, Technology and Innovation for public consultation. We encourage SAIMM members to provide input directly to the Department of Science and Technology for consideration. 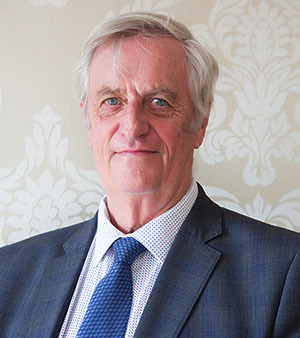 On the 16th of August 2018 Alastair Macfarlane was inducted as the SAIMM President for 2018/2019. The students and members attending the AGM welcomed him as president with applause. 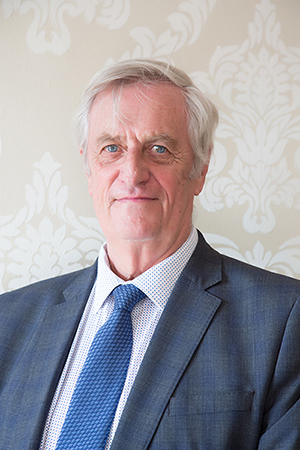 We look forward to the impact that Alastair Macfarlane will make during his year in office. Recent winds of political change blowing through the African continent have created the hope of a new dawn for the mining industry, and for renewed impetus to support the African Mining Vision. Mooya Lumamba (Director of Mines and Minerals, Zambia), Jackson Sikamo (Chairperson and Country Manager at Chibuluma Mines Plc, Zambia), Sehliselo Ndlovu (President: SAIMM), Paul Chanda (Permanent Secretary: Zambia Ministry of Mines and Mineral Development), Sokwani Chilembo (CEO Zambian Chamber of Mines), Darius Muma (Zambian Branch Chair: SAIMM), Kathy Sole (Conference Chair: Copper Cobalt Africa 2018). 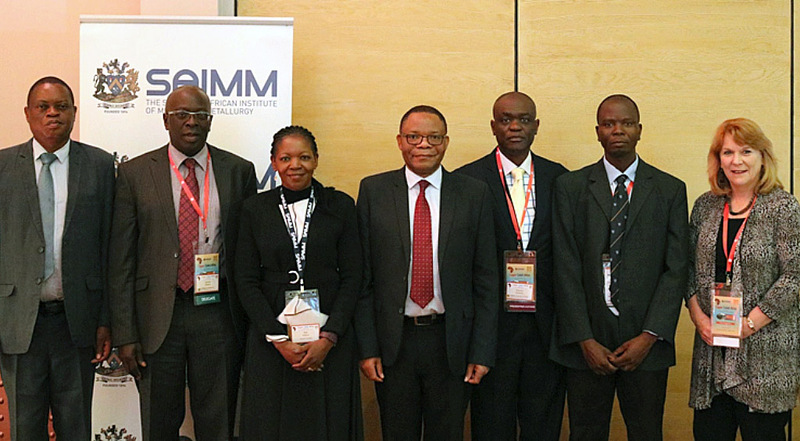 Copper Cobalt Africa, hosted by the Southern African Institute of Mining and Metallurgy (SAIMM), took place from 10 to 12 July 2018. The conference was held in the Mosi-oa-Tunya National Park, Zambia, a UNESCO World Heritage site and home to the mighty Victoria Falls. Recent strong rises in the prices of copper and cobalt, coupled with increasing international interest in developments in the African Copperbelt, attracted over 300 delegates, representing 22 countries.